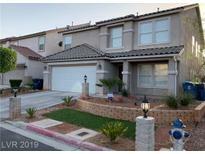 Below you can view all the homes for sale in the Terracina subdivision located in Las Vegas Nevada. Listings in Terracina are updated daily from data we receive from the Las Vegas multiple listing service. To learn more about any of these homes or to receive custom notifications when a new property is listed for sale in Terracina, give us a call at 702-323-5939. The master bedroom suite is located on the second floor while the 3 bedrooms are on the first floor. Clean and must see property. MLS#2087921. Crossover Realty. Home is perfectly placed in the heart of what's happening in Las Vegas. A must see. MLS#2086935. Compass Realty & Management, L.
This home is ready for a new story. Make it yours today! MLS#2086650. RE/MAX Advantage. Really well maintained house with very little usage, and it shows. MLS#2085779. Whiting and Company. Open Kitchen with Island, and Breakfast Bar, granite counters, tile flooring. MLS#2084893. Keller N Jadd. Schedule Your Showing Today! Don't miss it! MLS#2084835. Golden Assets & Property Mgt. * MOVE IN READY * Whole interior of house freshly painted * UPDATED kitchen and baths * All appliances included * Main floor has open floor plan with Kitchen, Dining Area and Living Room * Balcony off the Dining Area * Large master bedroom with huge walk-in closet, featuring custom built-ins * Great location just off of St. Rose Parkway near Las Vegas Blvd. and the M Casino * MLS#2083698. Wardley Real Estate. Large Master With His And Her Spacious Closets. MLS#2083509. Compass Realty & Management, L.
Loft Area Great Area, Close To Freeways, Shopping And Entertainment, Granite Countertops, Laminate Flooring, Lush Green Landscape, Stainless Steel Appliances Included. MLS#2083221. Choice One Properties & Manage. Security system in the home stays. MLS#2082222. Synergy Sothebys Int'l Realty. Don't miss this great buy! MLS#2082863. eXp Realty. Nearby M Hotel, SouthPoint, New Costco, I-15, St Rose Hospital MLS#2082604. Nationwide Realty LLC. and a few minutes from the 'M' casino. MLS#2077922. Century 21 Gavish Real Estate. Nicely landscaped in front & back w/ established palm trees & patio. MLS#2080716. Coldwell Banker Premier. The backyard is protected with a dog park nearby. All appliances are included. MLS#2080405. Executive Realty Services. Desert landscaping with covered patio...easy access to 15. MLS#2078827. Keller Williams Market Place. Kitchen Has Island/ Breakfast Bar, Plus Eat In Area **large Living Area With Glass Slider That Opens Onto Patio **whirpool Refrigerator, Washer & Dryer Inclued In Sale**backyard Fenced & Gated**close To Henderson Exec.Airport, New Costco , M Resort & Newly Proposed Shopping Centers MLS#2077156. Robert Realty. Large living spaces*separate family room with ceiling fan*large kitchen with granite, dark cabs, island, pantry*1 large bedroom and bath down w/huge walk-in closet*big master with walk-in closet, bath with oil rubbed bronze finishes*2 additional good sized bedrooms up*open loft with ceiling fan*large laundry room up*relaxing back yard with covered patio*tile floors*neutral paint*great condition! MLS#2072749. RE/MAX Advantage. Custom plantation shutters on all the windows. MLS#2071253. Momentum Realty. Great Three bedroom home, off the beaten path but close to the Strip, the M resort, new Costco, the I-15 Freeway MLS#2071270. SOS Realty Group LLC. Spacious 2 story with large den on 1st floor can be 5th bdrm***4 bdrms plus huge loft on 2nd floor***Living room & Separate Family room***Master w/double doors & walk-in closet***Granite Counter tops*** Large pantry in kitchen***Recessed lighting*** All appliances included***Ceiling fans***Conveniently located close to everything***Generous sized backyard and more.. Must see! MLS#2069193. Compass Realty & Management, L.
Beautifully done backyard with fire pit and BBQ grill area. Definitely a must see. MLS#2068093. Platinum R.E. Professionals. 3 Bedroom with spacious Master W/ Walk-in closet, 2.5 bath, Open Kitchen W/Granite counters, Island, Pantry, New Water Heater, Newer Dishwasher, Washer/Dryer and 2 Car garage. This is a MUST see! MLS#2066112. Prestige Properties. Beautiful 1 story home, New tiles flooring in wet areas and new laminate wood flooring in bedrooms. Great floorplan. Great location. MLS#2065436. 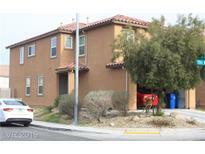 Nevada Real Estate Corp.
Property is close to new Costco , schools , park . MLS#2064714. Act 1 Realty.